I know I haven’t been posting as much lately, but the first trimester got the best of me! Now that my energy is coming back, I have been in the kitchen a lot more. Today the Puerto Rican in me was craving platanos maduros. As a kid these were always my favorite with over-easy eggs and steak! Yummy. And today, I introduced my son to them and he loved them just as much as I do! When I’m pregnant, I always seem to crave my moms homemade Puerto Rican food- but I just wont let myself eat so much fried food. So I always try to make a healthier alternative. Let me tell you- baked plantains are amazing! They taste just as good but you’re not deep frying it in a ton of vegetable oil. Of course, that actually makes it healthy! 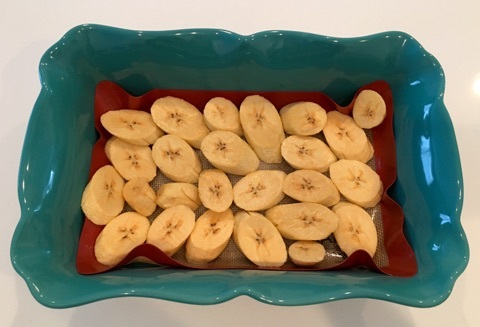 Plantains are a great, healthy carb when you’re not deep frying them! They’re up there with sweet potatoes. And they’re just so, so good! The key is using the right plantains. The riper they are, the better. 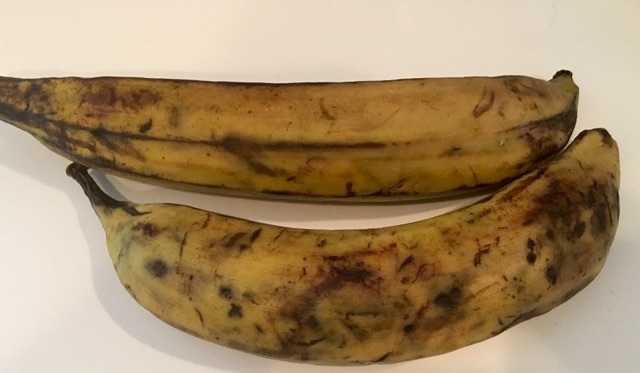 You can find plantains ranging from green to almost black. The yellow ones are ripe, but not ripe enough to get good sweet plantains. You’ll want them to have a lot of black on them, but not so much that they’re super mushy and moldy on the inside. Go for the ones that look like the picture below. Even a little blacker would be good because they will be sweeter. That being said, I’ll never go back to fried maduros again. I’m going to try tostones next! 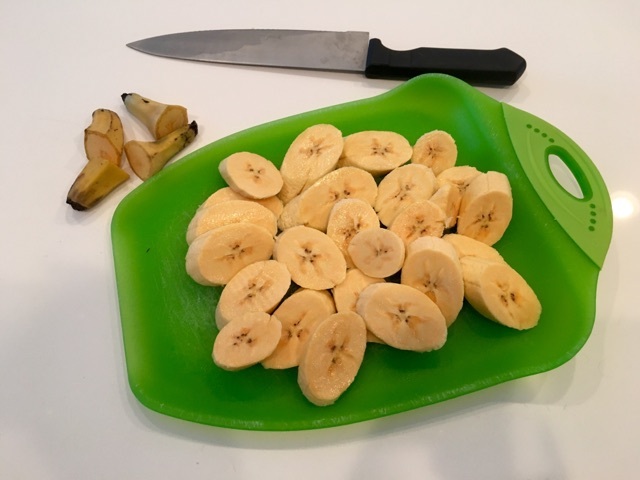 Cut your plantains on the diagonal into slices about ½” thick. 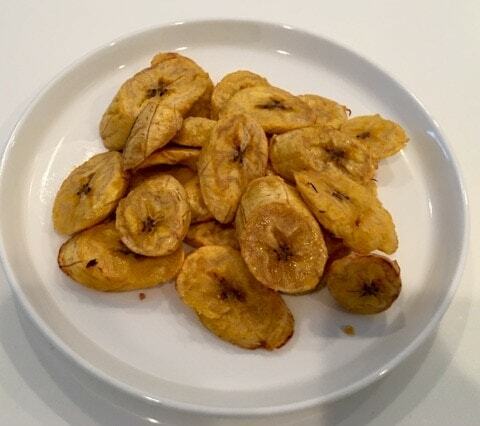 Place the plantain slices in a bowl, add the coconut oil, and toss them gently to coat them. Cook for an additional 10 minutes, or until you’re happy with the level of caramelization on both sides.